Sony has unveiled the world's first Ultra HD smartphone; the Sony Xperia Z5 Premium that is designed to do 4K video recording and playback. Sony has also released the 4.6-inch Z5 Compact with a 720p display, the 5.2-inch Z5 with a 1080p display and the 5.5-inch Z5 premium with Ultra HD (4K) display. Pricing is yet to available so you'll have to wait a little while longer to get your hands on the Z5. The smartphone features an aluminium bezel with a glass front and frosted glass back. Whilst the battery is unremovable, you still have the option to expand the memory with the MicroSD slot. The USB port has been moved to the bottom and the handset is still waterproof up to 1.5 meters for 30 minutes. The Z5 ships with Android 5.1.1 with very few modifications. Part of the minimal design reveals a fingerprint reader built into the power button on the side of the phone. As like many other Android devices, there are no physical buttons on the front of the device. Sony also boasts a two day battery life with the Z5 and also a redesigned 23-megapixel camera with a larger sensor. Sony also claims the Z5 models offer the world's fastest smartphone auto-focus ensuring that there's less lag between pressing the shutter button and capturing of the image. 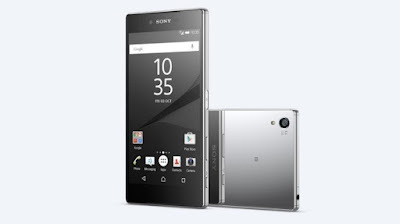 The Xperia Z5 will be a revolutionary device and we hope that it will live up to it's designs.